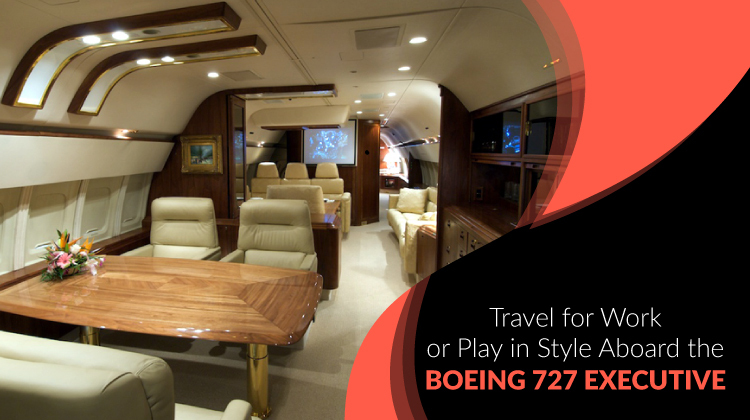 Whether you’re flying with friends to an exciting weekend event abroad or heading to another state with your company for an important conference, the Boeing 727 Executive has everything you need, and more, to make your flight enjoyable. Yes, not just tolerable, but enjoyable. Forget cramped cabins and boring flights. With the Boeing 727 Executive, you and your passengers can travel anywhere in the world while enjoying ultimate comfort and luxury. This aircraft delivers flexible options and unmatched reliability for a safe and relaxing flight. Most models can fly up to 2,700 nautical miles nonstop making the Boeing 727 Executive perfect for short domestic flights and international flights. About 26 commercial airlines and a handful of private operators trust the Boeing 727 due to its time-tested reliability and high-capacity cabin space. 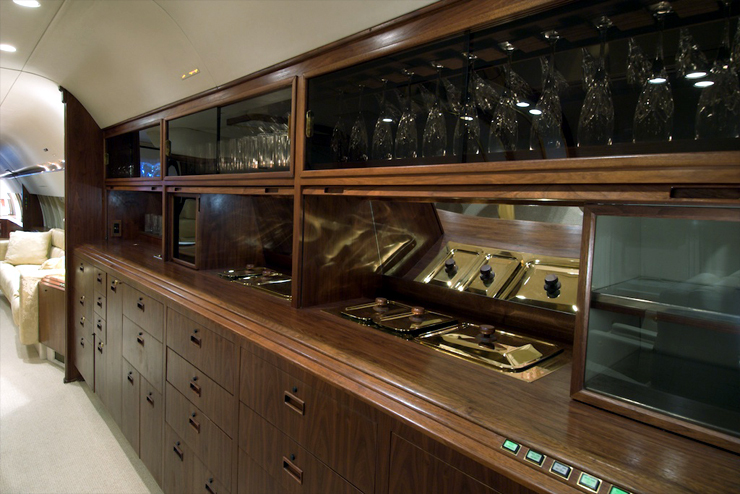 The Boeing 727 Executive addition is like flying inside a luxury hotel suite. This aircraft comes equipped with everything you and your passengers need to make your flight fun, safe, and comfortable. Layouts vary by aircraft, so make sure to check the specifications and accommodations before booking your flight. 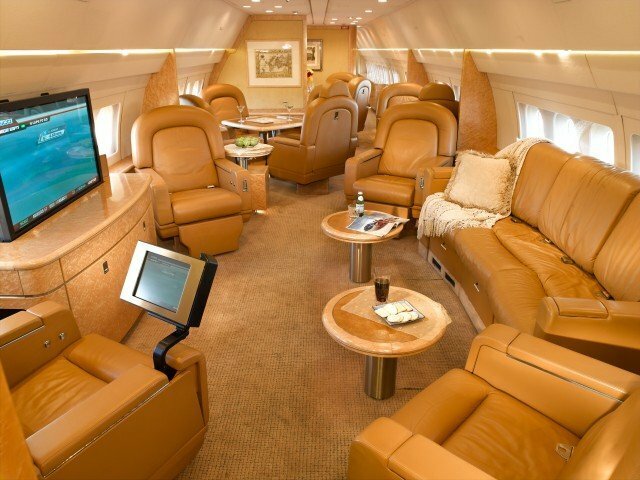 Either way, after flying on one of these luxury aircraft, you’ll wonder how you ever flew commercial. If you’re flying with a large group like a team or company, commercial flying can be a nightmare. The Boeing 727 Executive delivers all the space and seating you expect from a commercial airline with none of the hassles. Choosing between windows or aisle seats is a thing of the past because, with this aircraft, you can have your cake and eat it too. 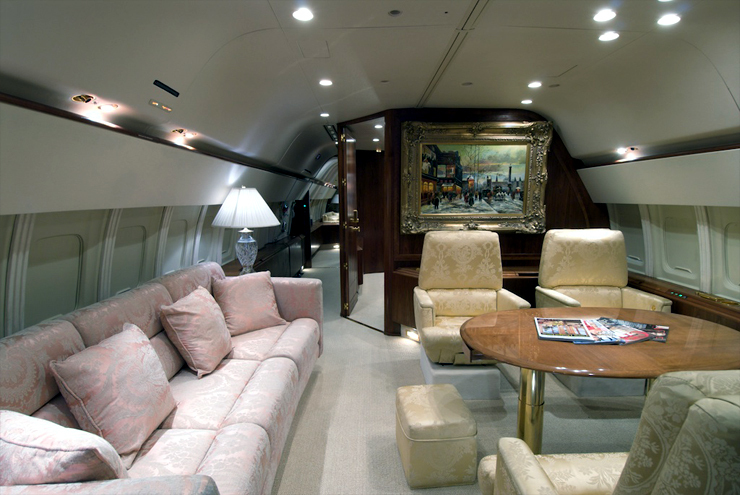 The Boeing 727 Executive can comfortably seat up to 35 in the massive VIP cabin. Zonk-out on the couches or chairs. Stretch out your legs and enjoy a movie of your choice or watch a game with your team while you prepare for your adventure on the ground. This is the executive version of the traditional Boeing 727 airliner, so it comes with additional bells and whistles to make your flight extra luxurious. Kick-back and relax as you enjoy the aircraft’s state of the art entertainment center and relaxing atmosphere. 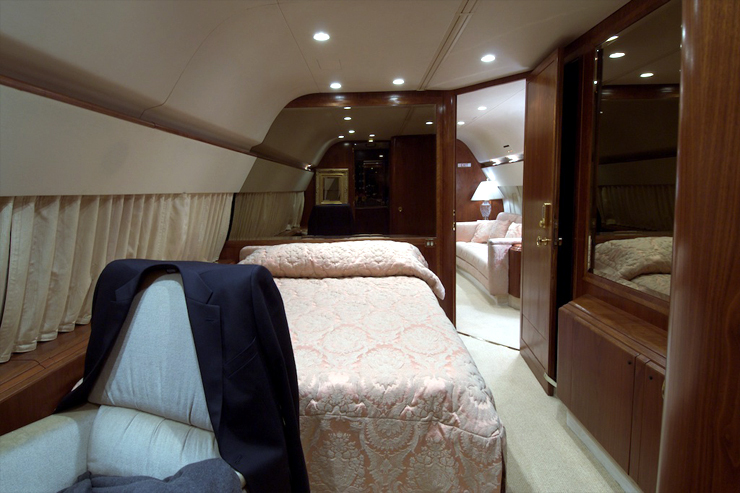 Extra Accommodations Make the Boeing 727 Executive Perfect for Long Flights. The VIP cabin is spacious and comfortable, but you don’t need to sleep in your seat. Many Boeing 727 layouts include staterooms so you and your passengers can rest up, change your clothes, and prepare for landing. Most staterooms include a queen-sized bed and ample closet space comparable to that of standard hotel rooms. Forget waiting in a long line to use a tiny bathroom. This aircraft also includes multiple private bathrooms and showers which deliver an additional level of comfort so you can freshen up and prepare for your trip before you officially arrive. Drink and dine in luxury in the full-service kitchen which usually includes a bar, stove, oven, refrigerator, and everything else you’d expect. Hire a catering crew or arrange your dining options however your heart desires. Enjoy some drinks and amazing food with great company while you relax and watch a movie or listen to music in the accommodating and comfortable cabin. Boeing Commercial Airplanes manufactures these midsized jets. The Boeing 727 Executive has three Pratt & Whitney JT8D engines and cruises the skies at about 900km/h. This particular aircraft came about as a compromise between American Airlines, United Airlines, and Eastern Air Lines – all of which requested the ability to serve smaller cities with shorter runways. Boeing 727s were the aircraft of choice throughout the 1960’s and 1970’s following the 707 quad-jet airliners. During the 1970’s, more Boeing 727s were built than any other aircraft. The first Boeing 727 entered service in 1964 with Eastern Air Lines and aircraft production ended in 1984. Previously criticized for noise, the aircraft now comes equipped with hush kits for a quiet ride. The Boeing 727 Executive addition gives passengers the reliability of standard 727s with the flexibility and luxury of a private aircraft. Browse our available flights and check out specific plane specifications to ensure each aircraft adequately fits your needs before you ultimately make the decision. The spacious cabin and seemingly endless amenities make the Boeing 727 Executive a timeless and classy choice for your team or company. 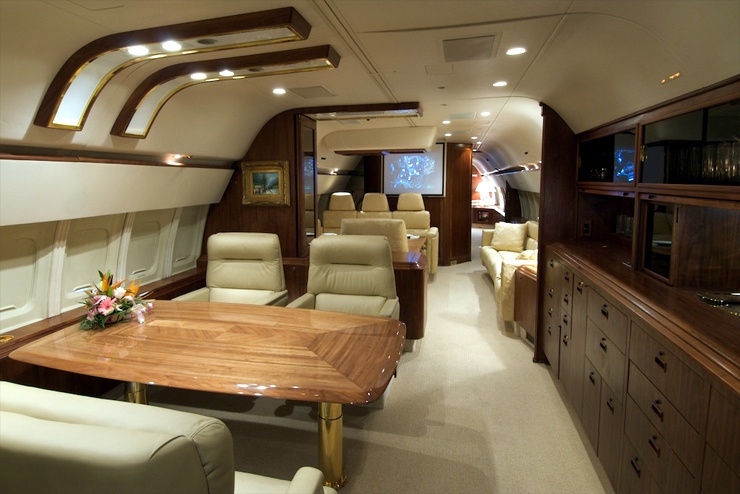 At Jettly, we offer private charter flights anywhere in the world for one flat rate! Choose from thousands of aircraft including the Boeing 727 Executive. Submit a flight request with us today.